Working in a warehouse takes a lot of work. There’s heavy lifting, making sure that inventory is accounted for, and most importantly, everyone is handling the equipment safely. Safety in the warehouse is so vital because if the proper precautions aren’t taken, then your employees could get hurt. 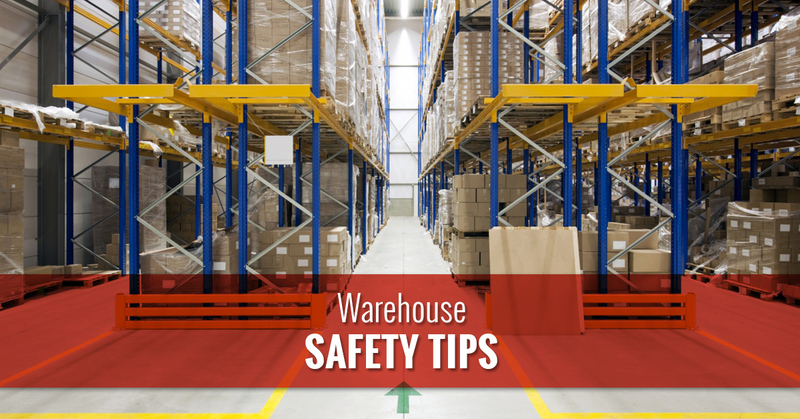 By following the proper safety regulations, you can avoid any mishaps from happening in your warehouse. In addition, due to possible lawsuits and worker’s compensation, you’ll want to adhere to any rules and regulations that are around safety in the warehouse. At United Steel Products, we offer a variety of different models for roller shutter doors. Each of the doors we offer can go into a different facility, but what we really emphasize is safety with these doors. If they are used incorrectly or you don’t know how to use them, then you could be looking at accidents in the workplace and no one wants that. In addition, when you work in a warehouse, you’ll want to be even more cautious due to the multitude of equipment that is used. For further information about our roller shutter doors, take the time to contact United Steel Products. Warehouses can be very dangerous if your employees don’t know what they are doing. It’s vital that you go over some basic tips for safety to ensure that everyone is safe in your facility. Below are a few suggestions to help you know what you should let your employees be aware of when working in your warehouse. The first and one of the most important safety tips for the workplace is to learn how the roller shutter door works. Either there should be only a few people who know how to work the roller shutter door or there should be a safety training on what each of the buttons do. If they are used incorrectly, they can cause harm to your employees. Accidents can happen around roller shutter doors and it can be detrimental and cost you worker’s compensation. Additionally, each of the roller shutter doors we offer work in different ways, so it’s vital that you know how to work each one. Another great safety tip for a warehouse is to have a staff training session. If you’d like to keep your employees safe and avoid any types of errors from occurring, then you’ll need to have a safety precautions course. Training is the number one way to avoid any mishaps from occurring. Staff training will help to keep your employees informed about the safety precautions in your warehouse. It will also inform them about the materials and the equipment that they use as well as the work tasks. A clean workspace is imperative for keeping your employees safe. A clean workspace in any facility can be the difference between an accident occurring and being in a more safe environment. A clean workspace will reduce the clutter and the disorganization. It will also help to keep your warehouse up to protocol, so nobody trips over any stray items such as cords, wires, or sharp objects. Our emphasis on being safe in a warehouse stems from making sure that your company is protected. Employees can get hurt all of the time due to negligence, so it’s vital that you avoid lawsuits by educating your workers on safety in the warehouse. As a roller shutter door company, we strive to ensure that each facility we sell to knows how to work our products in a safe manner. If you want to have roller shutter doors for your facility, then reach out to us today.